I wouldn't really call this a book review, but it kind of is? 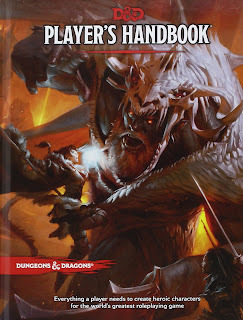 I finally got around to reading the Dungeons and Dragons Player's Handbook! I've only played three sessions of D&D in my life but I watch some YouTube series and listen to some podcast series that are basically ongoing D&D campaigns. I've been doing this for years now. I thought it was finally time to actually pick up a copy of the D&D books for myself and sit down to read them. 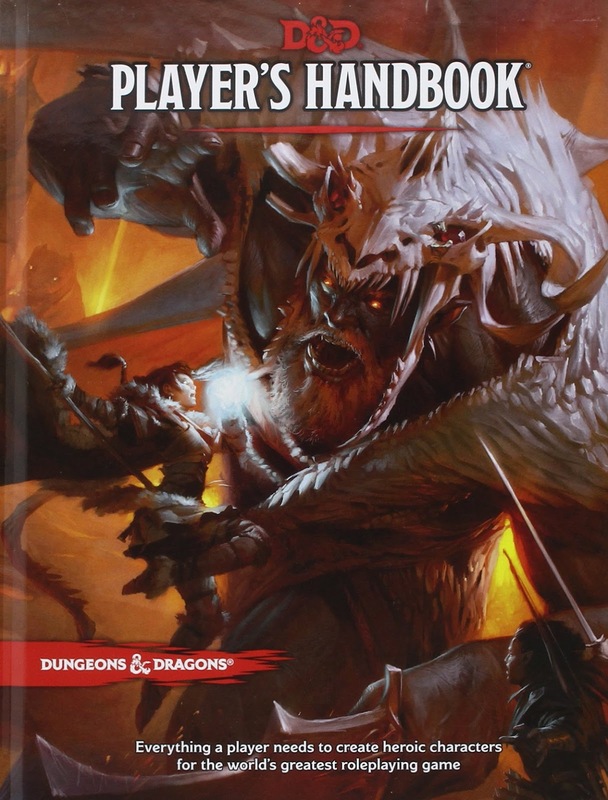 I actually loved reading the Player's Handbook and I basically read it cover to cover. I didn't read every single stat of every single spell, but that was the only exception. I found some clarifications to the rules that helped me understand the game better than what I've picked up over the years. But, best of all, I got to read all about the races and classes in the world of D&D. The world building contained in the race and class descriptions along was just amazing. I especially loved the prompts with questions about how you want to play the class/race. There were so many great jumping off points that you can take and run with to make a unique character. Not to mention the examples they give. It's amazing how different one player can be from another even if they have the same race/class combo. Although I don't have a group to play with at the moment I'm still very happy I took the time to read the Player's Handbook. Maybe I'll be able to find a tabletop group eventually, but I think it more likely that I'll be able to DM for my kids some day soon. So, this one is going on the shelf for now but I'm super excited to pull it back down and put it to good use once my kids get just a little bit older.